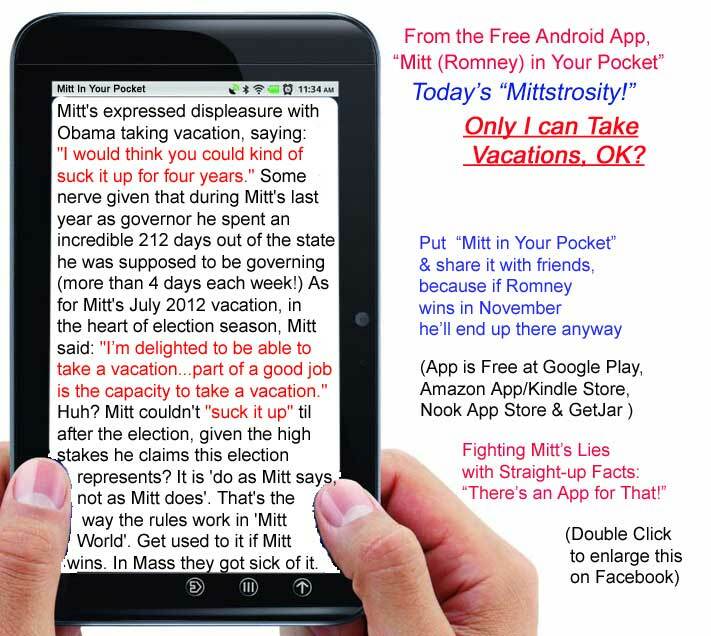 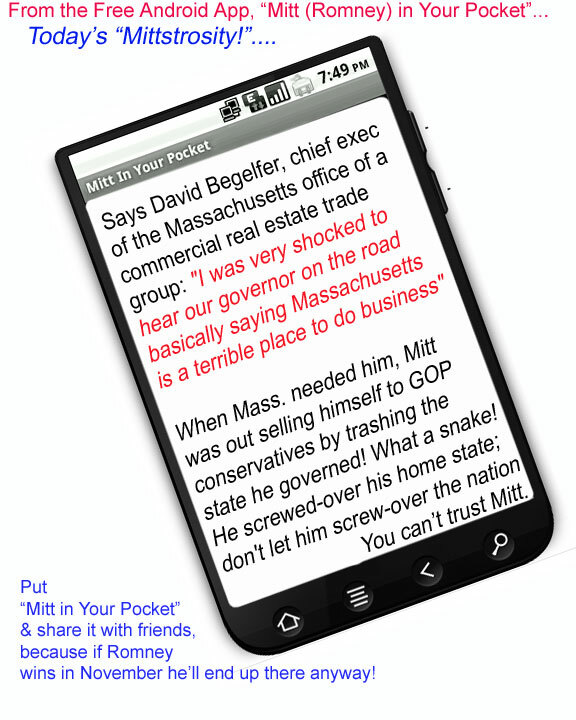 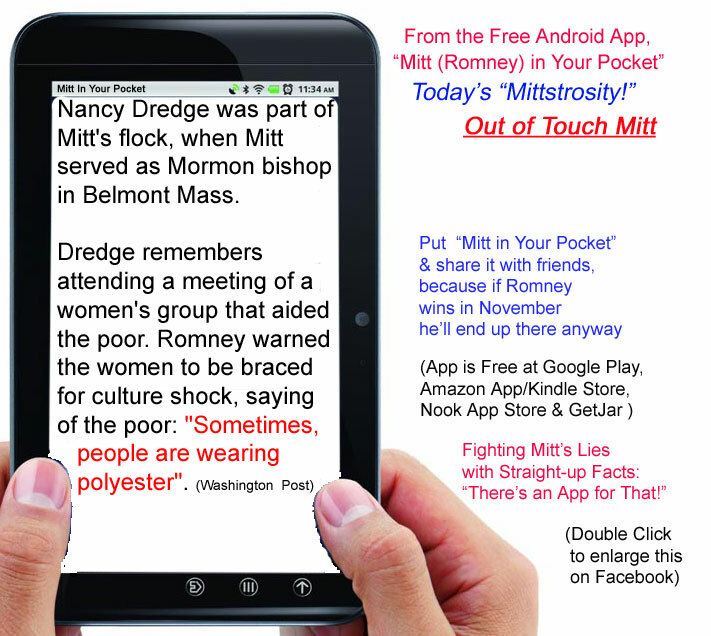 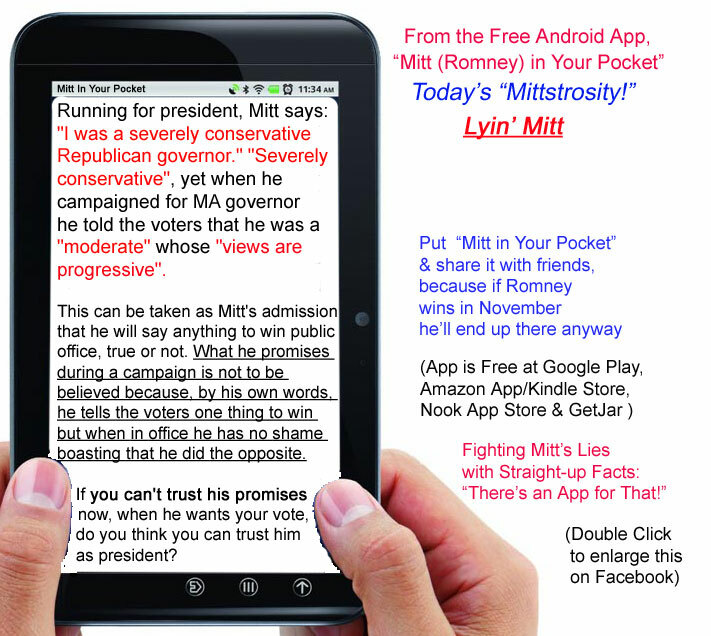 These are screen excerpts from the Android app "Mitt (Romney) in Your Pocket". 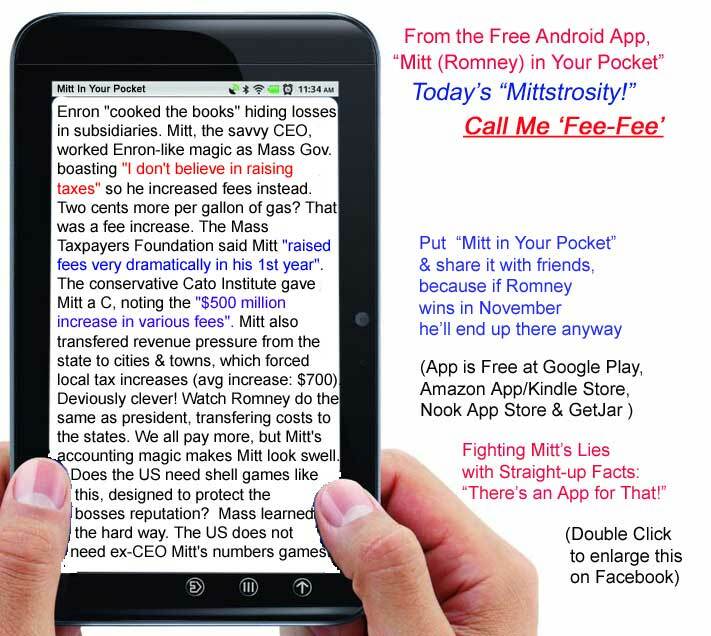 Please see our Home Page for more information, or our Download page for your FREE copy (or look for us in your favorite Android app store). 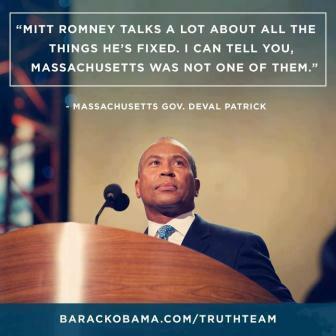 Click for Video: Mass Knows Better than to Vote for Mitt!